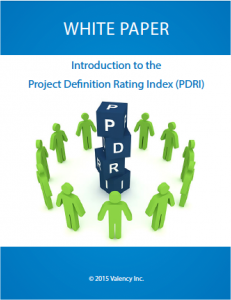 What is the Project Definition Rating Index (PDRI)? | Valency Inc. The Project Definition Rating Index (PDRI) is a methodology used by capital projects to measure the degree of scope definition, identify gaps, and take appropriate actions to reduce risk during front end planning. PDRI is used at multiple stages in the front end planning process. 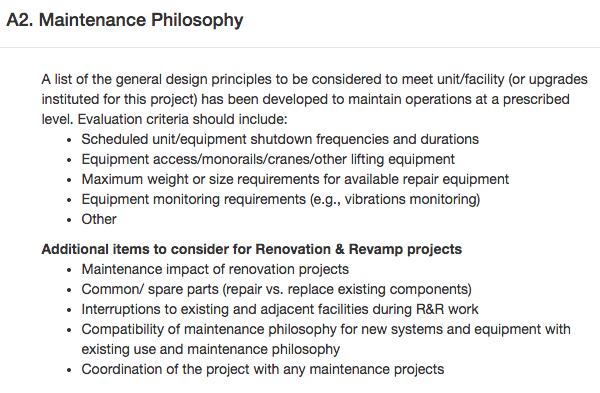 As a project progresses, identified gaps will continue to be addressed until a sufficient level of definition (measured using the PDRI score) is achieved for the project to successfully proceed to detailed design and construction. 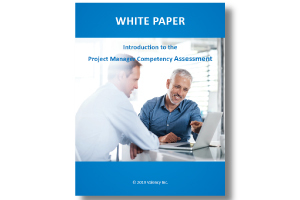 If you are new to PDRI and looking for a good overview of the methodology, start with this white paper. Poor scope definition is recognized as one of the leading causes of project failure, resulting in cost and schedule overruns, and long term operational issues. As a result, front end planning is one of the most important process in the construction and operation of a capital asset. The PDRI methodology is proven to reduce risk in capital project delivery by promoting rigorous scope definition and a collaborative review process during front end planning. Using the PDRI methodology will help your project teams improve scope definition, become better aligned, and provide transparency on identified gaps. This helps to equip all project stakeholders to better mitigate risks identified in PDRI reviews, predict potential issues, and overcome costly problems down the road. Owners Owners with large capital expenditures in construction-related projects are the leading users of PDRI. Engineering Firms & Contractors Engineering firms and contractors also use PDRI. It is used as an alignment tool in the development of an Owner’s business objectives, to clarify requirements, improve cost and schedule estimates, and coordinate execution planning. Contractors also use PDRI to assist in risk assessment for a Request for Proposal (RFP) on a project where scope definition has been completed by the Owner or another engineering firm. When is PDRI used in the project lifecycle? PDRI can be used at multiple points during front end planning, and normally coincides with the completion of a stage. 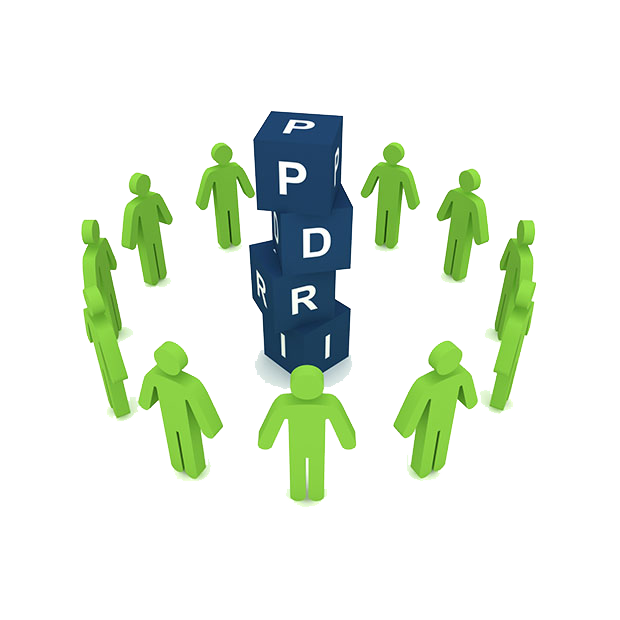 Organizations that adopt PDRI as part of their project governance normally require a minimum of two PDRI sessions. Each section is broken down into categories and elements. The element is the lowest level of the index where the assessment of scope definition is conducted. Is PDRI applicable to all capital projects? There are three industry-validated PDRI templates that are each focused on a specific industry sector. The Industrial template is targeted for projects that provide an output in terms of assemblies, sub-assemblies, chemical compounds, electricity, food or other marketable goods. Examples include power plants, chemical plants, oil & gas production, refineries, water and waste treatment, and manufacturing facilities. The Building template is designed for commercial building projects. Examples including offices, schools, medical facilities, institutional buildings, warehouses, parking structures and research facilities. The Infrastructure template is targeted for projects that involve linear construction with extensive public interface and environmental impact considerations. Examples include railways, highways, pipelines, transmission and distribution and canals. Is PDRI used in brownfield projects? All PDRI templates include risk factors related to both new construction (greenfield) and renovation and revamp (brownfield) projects. Can PDRI add value for our small projects? PDRI is successfully used around the world for small, large and mega projects. Purpose-built templates include PDRI for Small Industrial and PDRI for Small Infrastructure projects. The Construction Industry Institute (CII) recognizes front end planning as the single biggest factor in controlling cost and schedule in capital projects. For over 20 years CII’s research and development has focused on helping project teams use the front end planning process and tools to create an environment for success. 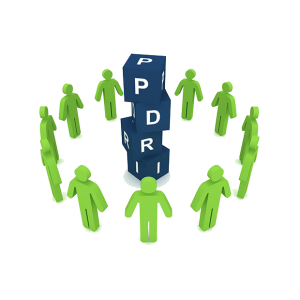 The PDRI is one of the leading toolsets that resulted from this research focus. Can any company use PDRI? Yes! PDRI is an open industry standard for measuring scope definition. The Construction Industry Institute is committed to sharing their best practices. CII works with their Registered Providers to help both CII members and the general public learn about their best practices. 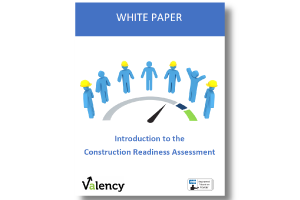 Valency is a Registered Education Provider with CII and PMI and offers educational modules including PDRI principles & practices, implementation best practices and facilitation training. An application that simplifies PDRI implementation and makes PDRI engaging for all project stakeholders. Our team of Certified PDRI facilitators are veterans in industrial, building and infrastructure projects. To learn more Valency’s solution offering, please contact us.